Choosing your wedding reception venue is an important decision. Cornerstone has two locations for your wedding reception. 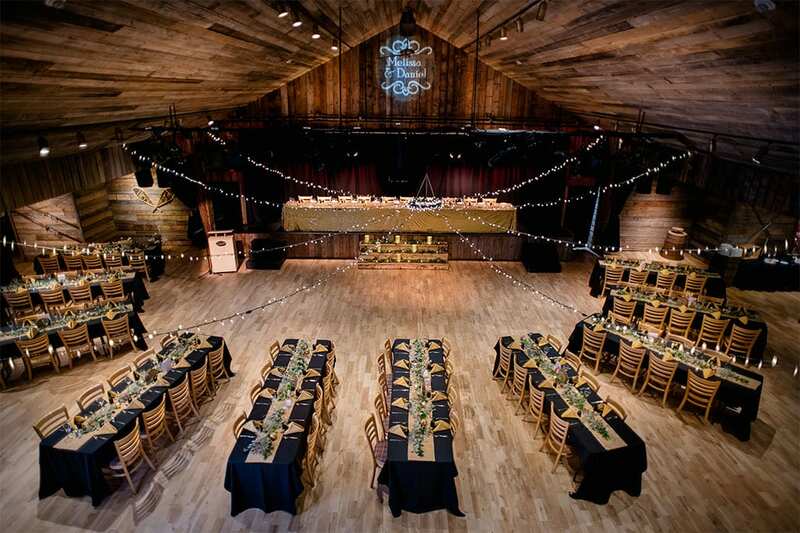 Enjoy our naturally elegant theatre hosting weddings up to 200 guests or for smaller weddings up to 80 guests choose the beautiful banquet room at the Canmore Nordic Centre for its breathtaking mountain views. Whichever great location you choose, you will receive Cornerstone’s renowned customer service, products and services. After you exchange vows in front of your closest friends and family, it’s time to celebrate! The wedding reception is a special moment for couples. As the first chance to greet your friends and family as newlyweds, finding the perfect venue to host your festivities is important. Whether you can’t wait to spend the night on the dance floor, or share a toast over a mouth watering meal, you deserve a venue that helps make your big day extra special. Cornerstone Weddings offers couples access to two stunning reception venues to celebrate your nuptials. 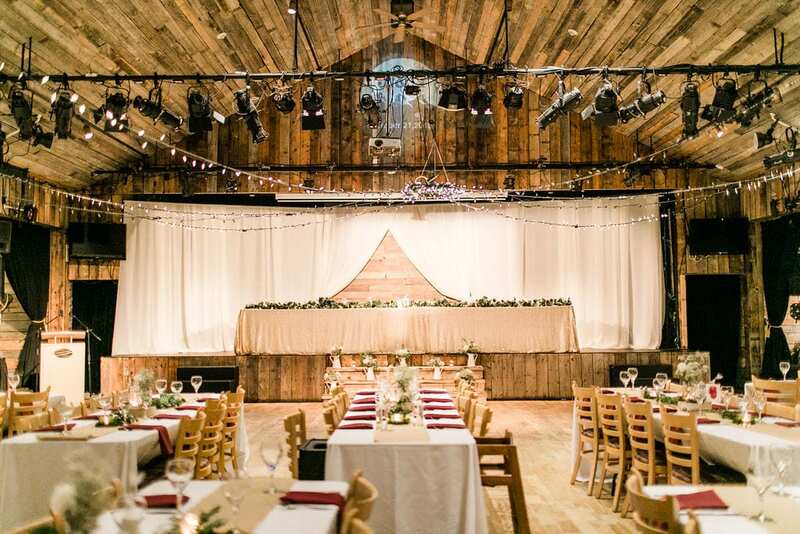 Crafted in 2002 from repurposed Manitoba barn wood, Cornerstone Theatre embodies the charm and elegance of a natural cabin-style venue. With authentic pine floors, a showcase stone fireplace and space for up to 200 guests, the theatre perfectly compliments the down to earth natural beauty of Canmore and Rocky Mountains. Cornerstone Theatre features several amenities to keep you and your guests comfortable and ensure your festivities kick off without a hitch, including heat and air conditioning, full service washrooms, plenty of parking and more. For couples booking both their (outdoor) ceremony and reception with Cornerstone Weddings, the theatre is also reserved in case of weather changes for your big day. The Canmore Nordic Centre is a spectacular venue that was originally constructed for the 1988 Winter Olympics. With sweeping mountain views and a banquet room suitable for wedding parties of up to 80 guests, the Nordic Centre is an ideal fit for smaller wedding parties looking to make the Rockies the centrepiece of their big day. Planning your reception doesn’t have to be a hassle. The experienced team of wedding and event planners at Cornerstone work closely with our couples to ensure you have everything you need. From crafting a menu your guests are sure to remember, to handling the set up and tear down of the event, we have you covered. by contacting our team today!